Manchester Metropolitan University’s (MMU) Employer Liaison Team have been shortlisted for an Award for Excellence in Employer Engagement by the Association of Graduate Careers Advisory Services (AGCAS). The annual awards celebrate efforts within careers advisory services in the UK and beyond. The nomination recognises the success of the team’s “Employer Networking Café”. These unique speed-networking events take elements of the traditional careers fair whilst ensuring that students and employers have a more interactive opportunity to engage with each other. 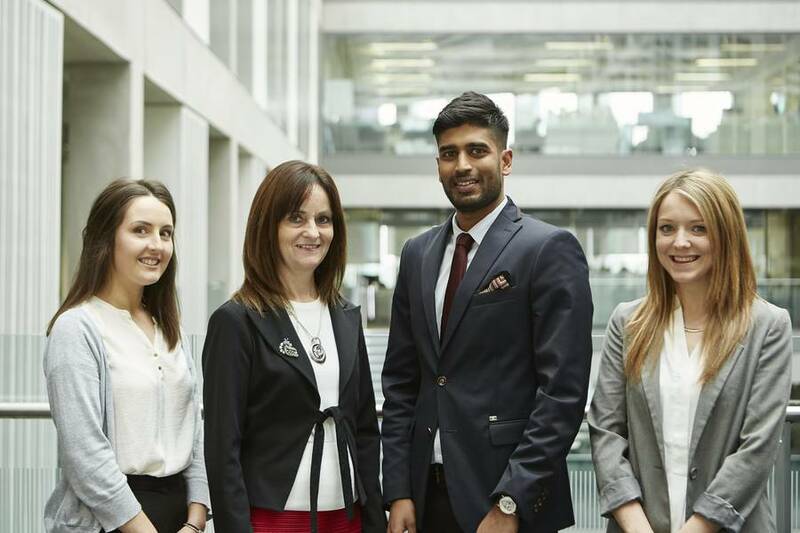 The team provide employers with tailored support to engage with MMU. Services include online vacancy advertising, on-campus recruitment events, free recruitment strategy advice and the GradMatch funded internship scheme. Since the first Café in 2012, this has rapidly become the team’s signature event for employers, In the 2014/15 academic year, 10 Cafés were organised, hosting over 100 employers and 1000 students. Feedback from employers has suggested that many are interested in students from specific disciplines; in response the team have worked with colleagues across MMU to develop sector specific Cafés including Accounting, Finance and Economics, Architecture and Computing, Mathematics and Digital Technology. Josie Leydon, Employer Liaison Manager, said: “Demand has grown from employers to engage with MMU students and graduates in more effective ways. We took employer feedback to create a unique concept to benefit student and employer engagement and it is fantastic to have been recognised by AGCAS for our work in this area.